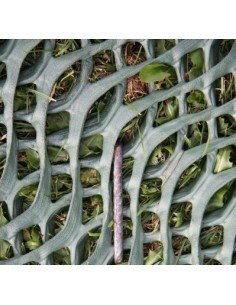 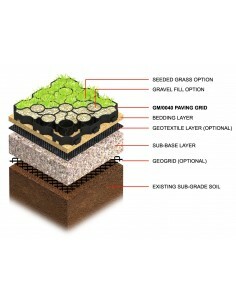 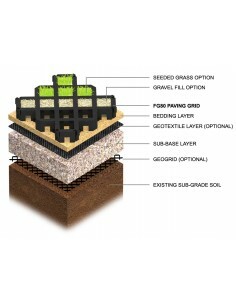 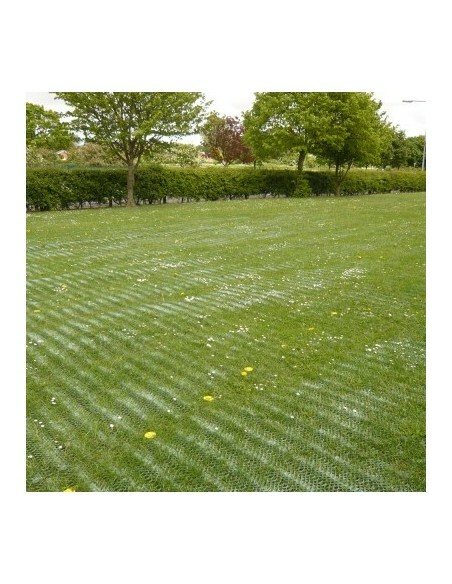 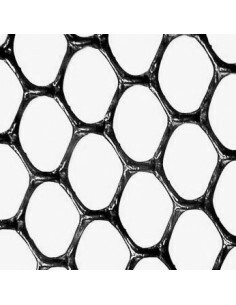 Strong and thick HDPE mesh for protection of grassy areas and turf. 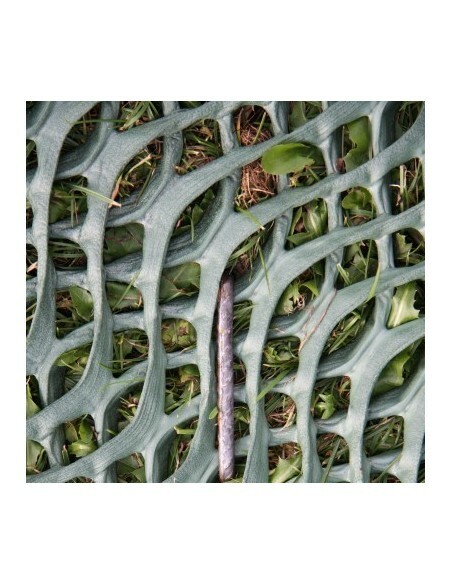 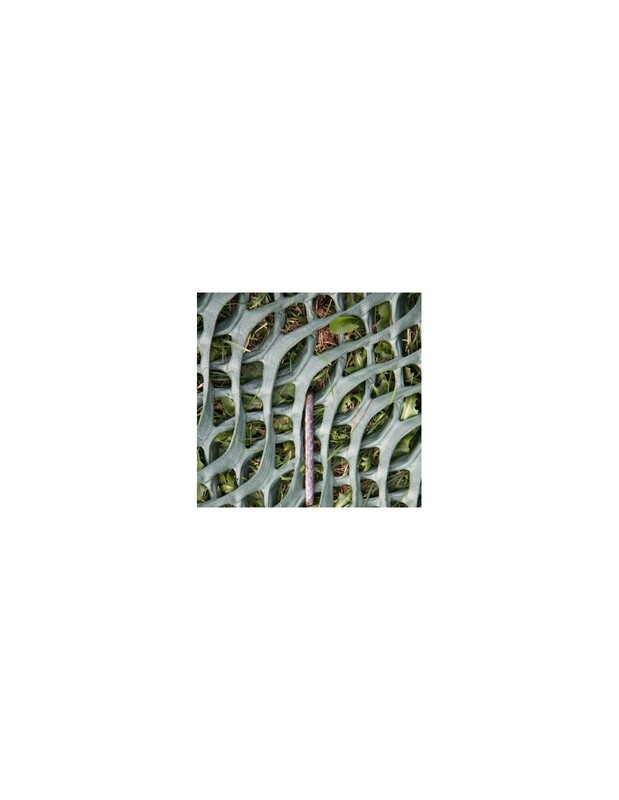 This is a dual layer mesh construction with an oscillating pattern designed for reinforcing grassy areas subject to foot and vehicle traffic. 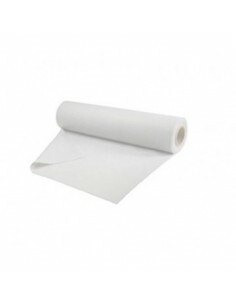 Suitable for areas subject to all types of vehicle traffic and pedestrian use. 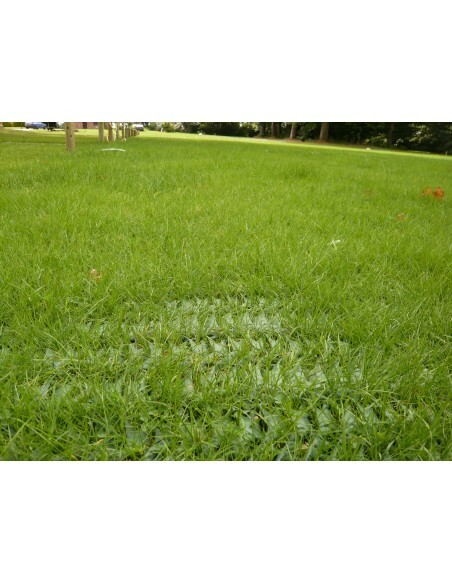 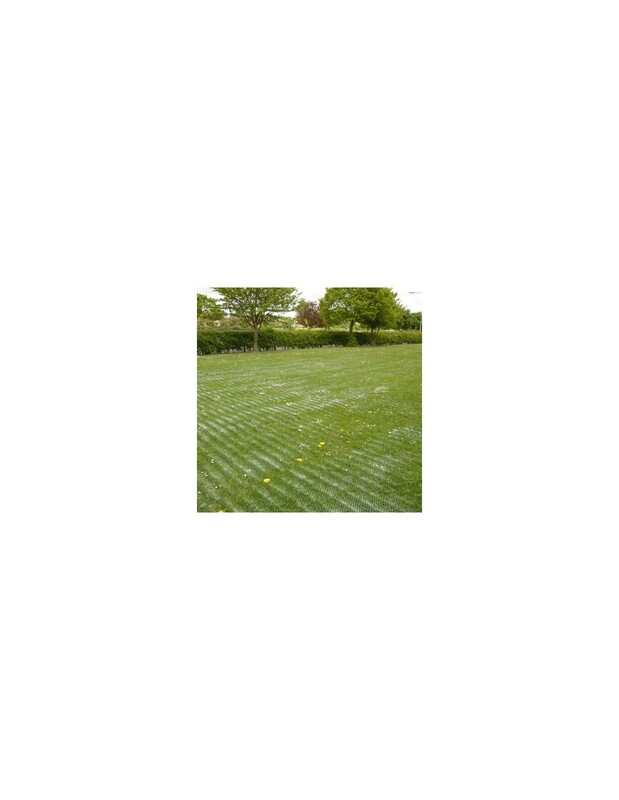 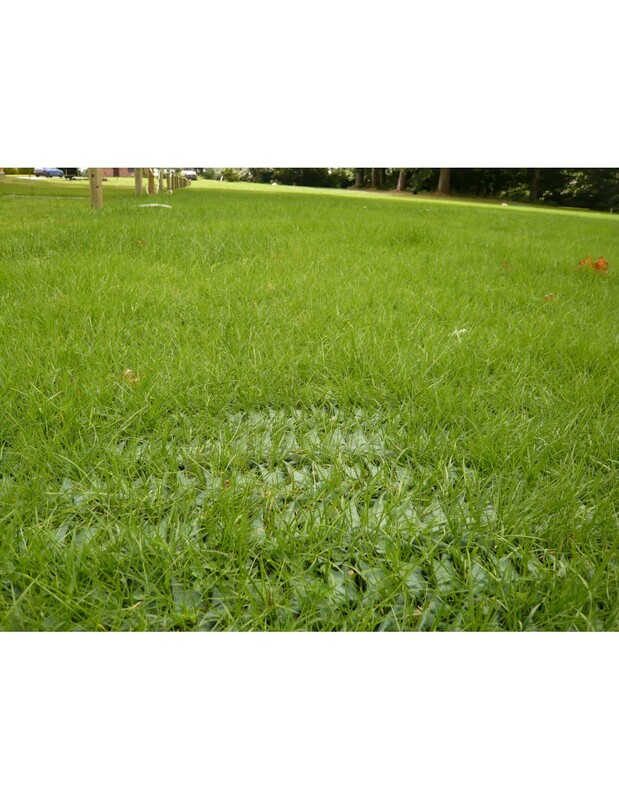 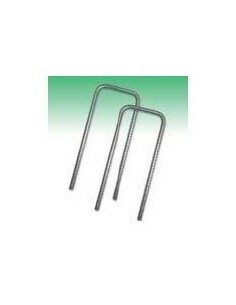 For best results, the mesh should be laid and pinned onto recently cut grass in spring when the grass will grow quickly and the root mass will grow around the mesh. 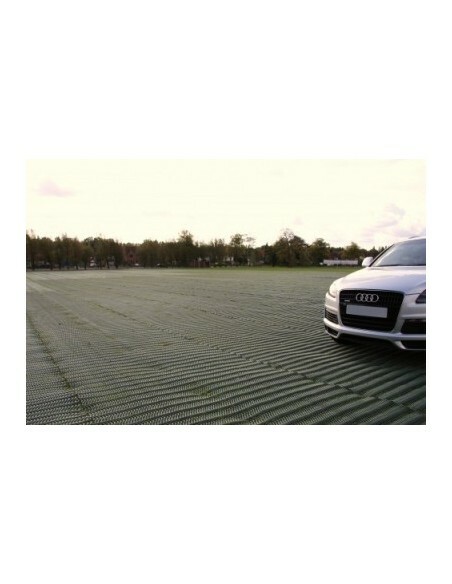 The covered area will soon resume its natural appearance providing a stable surface and protecting the area from damage by foot or vehicle traffic. 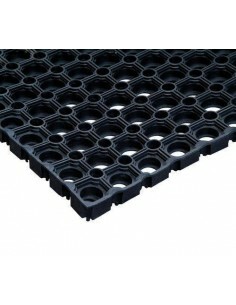 Multipurpose product for runways, disabled access, overspill carparks etc.